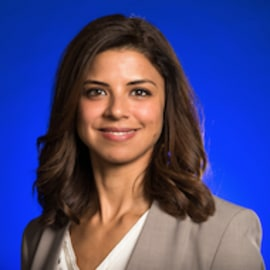 Rania has worked at Google since 2003, based in Silicon Valley and the Middle East in several roles, overseeing sales as well as partnerships to support, educate, and enable various professional ecosystems in the MENA region. She has received recognition for her support towards developing the capabilities of students, developers and entrepreneurs, and now focuses on driving education institutions to develop their digital and technology strategies. Rania has two bachelor’s degrees in computer engineering and in French and Francophone studies from Santa Clara University in California.